At Genesis Digital, our goal is simple: To evolve your business with a suite of SaaS eCommerce solutions to an ever growing market of innovators. With complete webinar authoring and hosting tools like WebinarJam and advanced automated solutions like EverWebinar the process of creating and sharing your live content is simple and direct. Whether it’s live broadcasting, automatic recorded streaming, funnel hosting, or a comprehensive eCommerce solution, Genesis Digital has products for every type and level of business. Not just the best, easiest products on the market, but at prices that make sense for your business — guaranteed not to give you heartburn! Our products seamlessly integrate with other popular eCommerce applications. This makes a la carte and wholesale migration to our applications a snap. We’re neutral (and awesome) — like Switzerland. Featuring intuitive designs, lush feature sets, and seamless integrations with third-party apps. Other applications are hard. Clunky. Ours are designed by eBusinessfolk for eBusinessfolk. You control every aspect, down to the last automation, the tiniest bit of content. But we make it easy for the novice, too, with concierge plans and starter templates. Don’t live with a Frankenstein’s monster of stitched-together solutions. 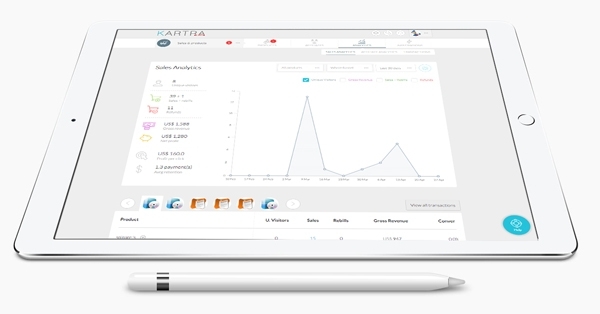 Kartra is the first all-in-one, cradle-to-grave eCommerce solution. Combining pages, e-mail campaigns, video hosting, CRM, affiliate management, and much much more, Kartra is the solution every business owner has been waiting for! Don’t pay ridiculous monthly fees for your Webinar solution. Don’t settle for jerky frame rates or incomplete solutions. Don’t limit your attendance or make them download a client. WebinarJam Studio and EverWebinar are the perfect one-two punch solution. Go live on a moment’s notice! Or schedule recurring events that will boost your product every hour on the hours. 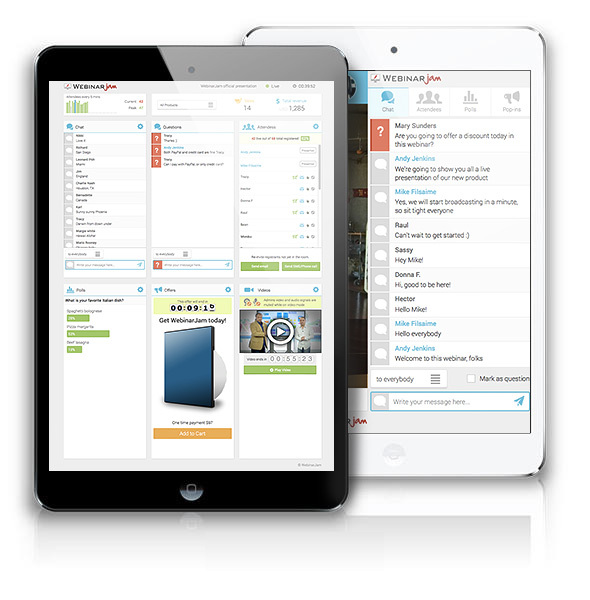 Integrates seamlessly with your e-mail marketing and video offers. Sell your goods; sell yourself.